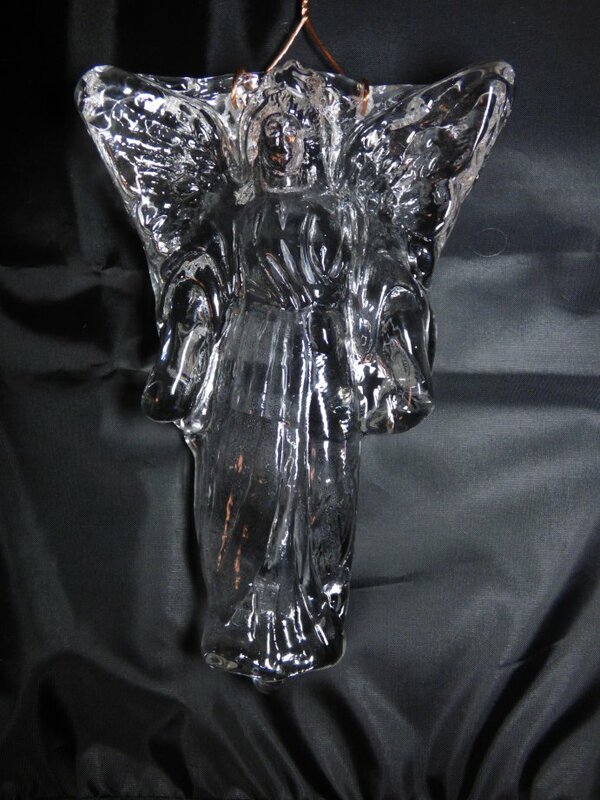 One of the most difficult objects to photograph is clear glass. 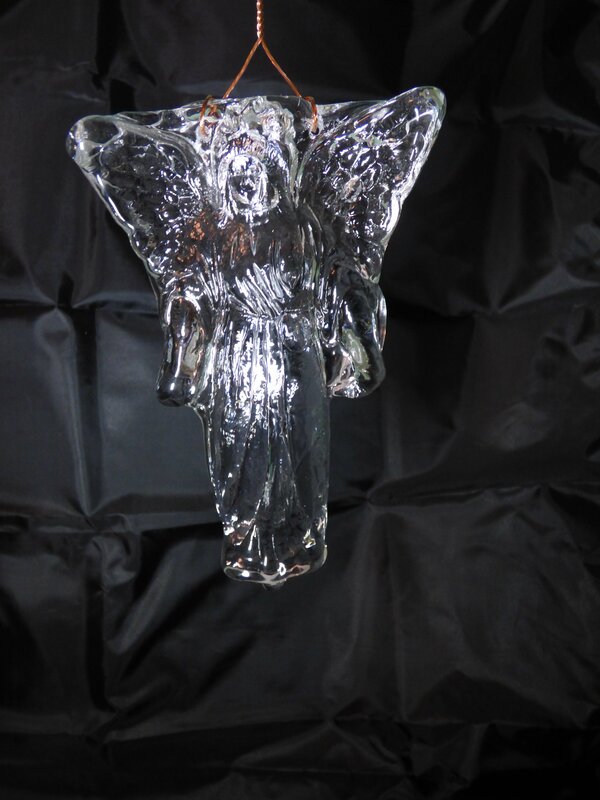 So, I feel that none of the photographs below adequately captures the beauty of my clear glass Christmas angels. 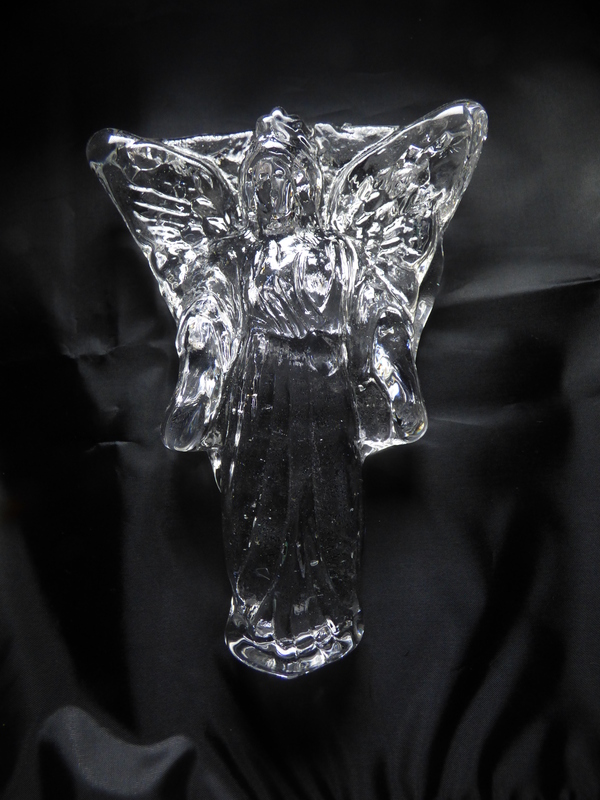 They are approximately 7 inches tall, 4.5 inches wide (at the wings), and 1.25 inches thick, weighing one pound. 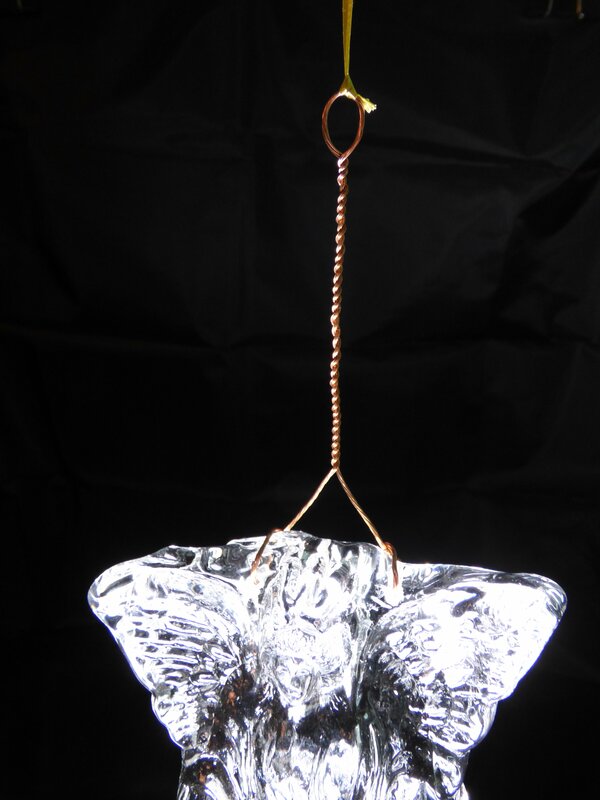 They are provided with a twisted braided copper wire for hanging as a suncatcher in a window, or elsewhere. 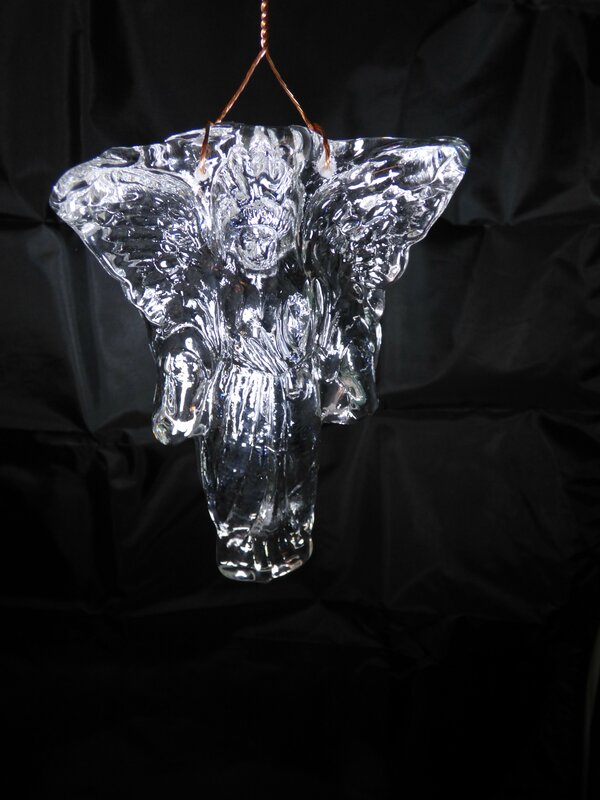 The copper wire is place through two holes drilled with a 3 mm diamond hole saw, opposite the angel's radiant halo. 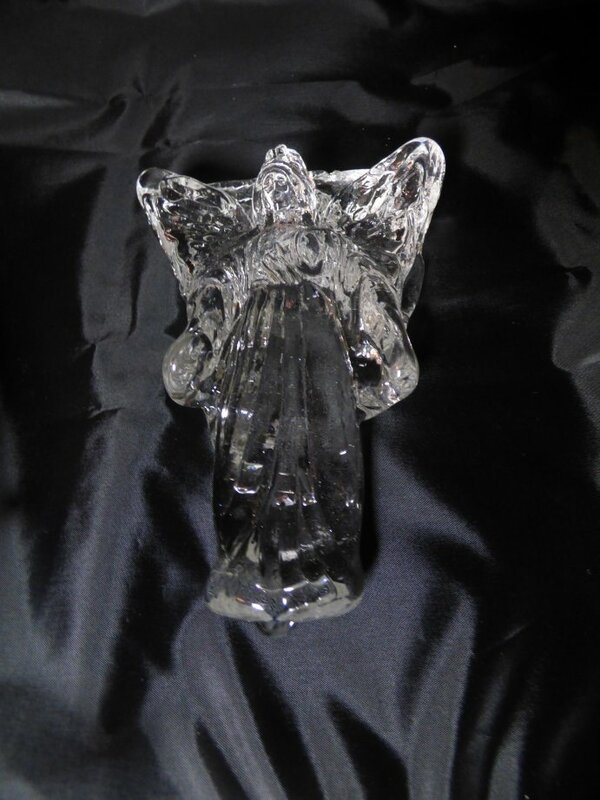 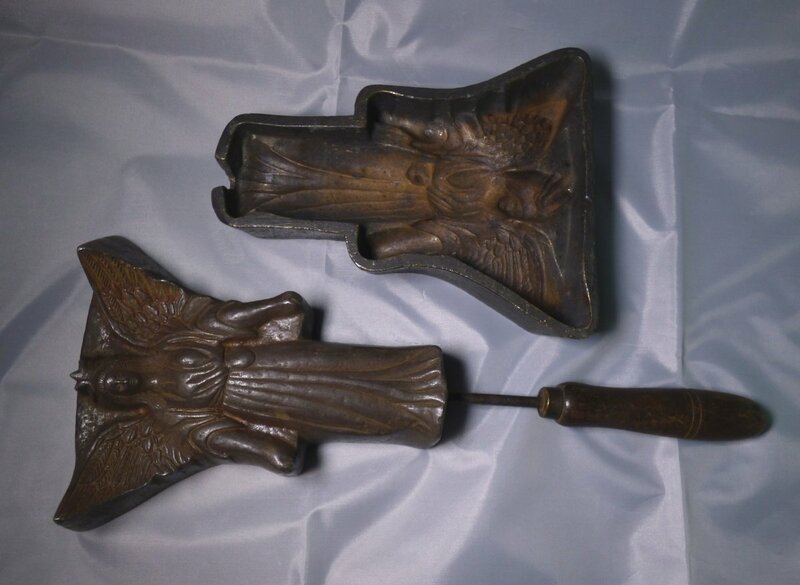 For those who might be interested in the details, my glass Christmas Angels are made with this very old two-part bronze mold. 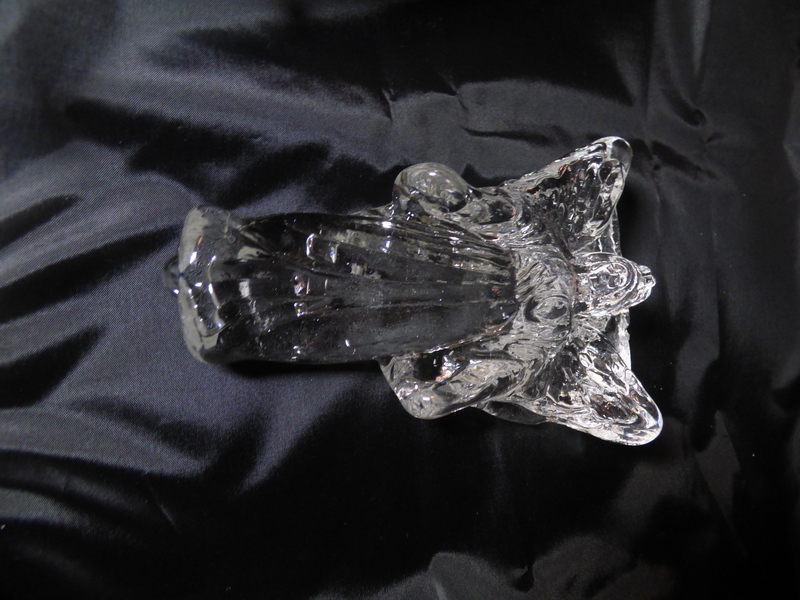 The mold is quite heavy and weighs over 14 pounds.